Our services are not only rendered in residential homes. Clients in nursing homes can also receive our care. Today in the United States, there are over 16,000 nursing homes. 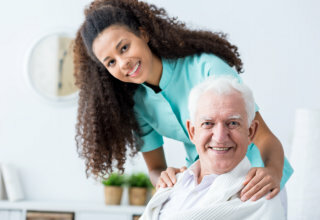 Nursing homes, also known as skilled nursing facilities, are for seniors who require constant medical care and need significant assistance with the activities of daily living. The goal of care in a nursing home is to help individuals meet their daily physical, medical, social, and psychological needs. Nursing homes are generally stand-alone facilities, but some are operated within a hospital or an assisted living community.